Having a wonderful time with creative juices flowing once more. Don’t you just hate it when you love doing something but then hit a blank wall when you want to create something? I don’t know which is worse, writer’s block or a creative block. Thought I would post a few pictures of what has happened here at the Drake’s Nest. First, I have gotten back into painting by doing some classes with a dear friend. 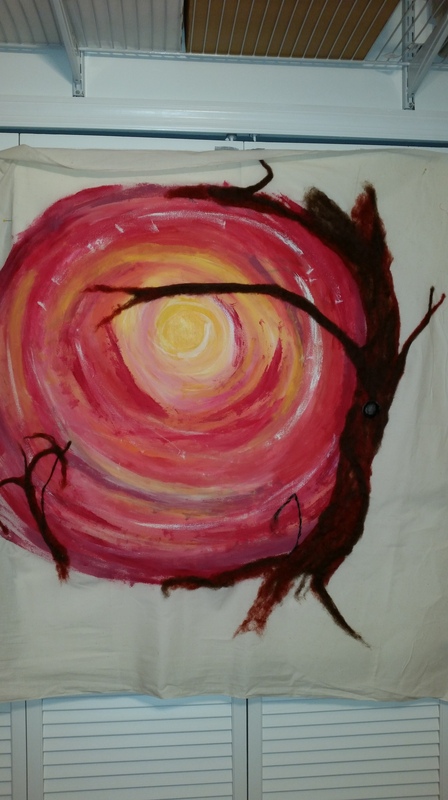 She has never painted before, but does a wonderful job and has even developed her own style. I just LOVE seeing people discover that they can do things they never thought they could and really enjoy the journey of discovery. The pictures below are two of my most recent paintings. 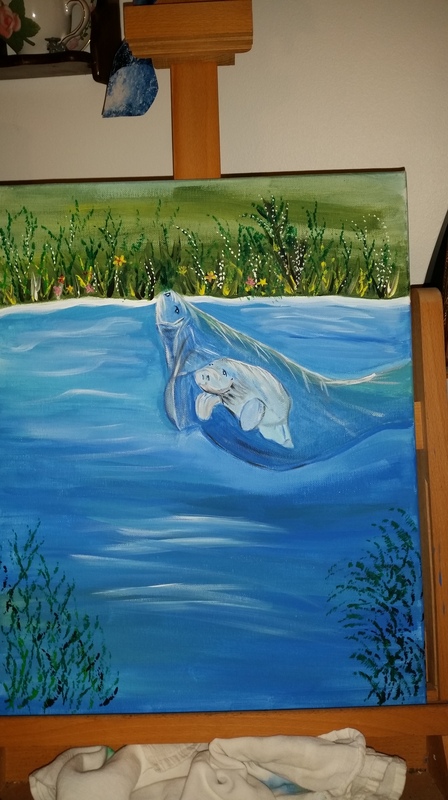 The manatee I redid as I wasn’t crazy about how the smaller canvas looked. Still needs a little tweaking. This next set of pictures are of a project that I’m working on. 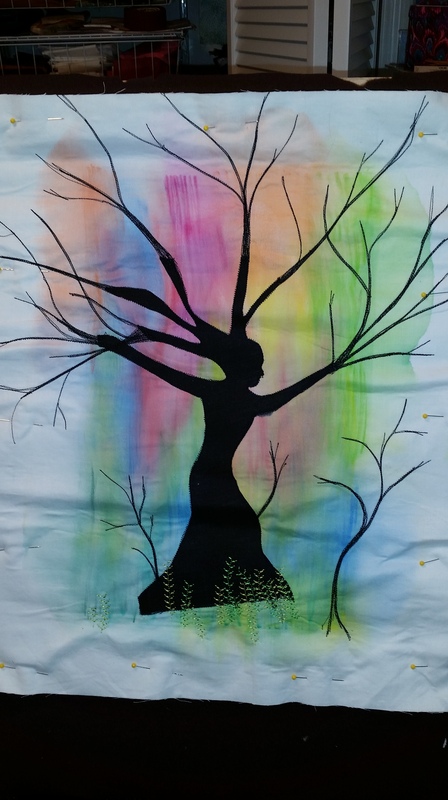 It will be a fiber art piece and will contain fabric painting, thread painting, applique and needle felting. It’s interesting to see how this is progressing and I’m keeping my fingers crossed that it turns out the way I envision. 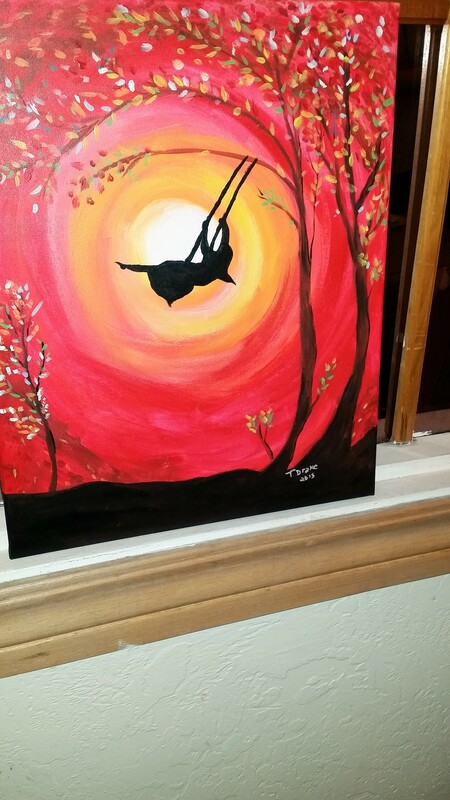 It is an interpretation on the painting of the girl in the swing above. 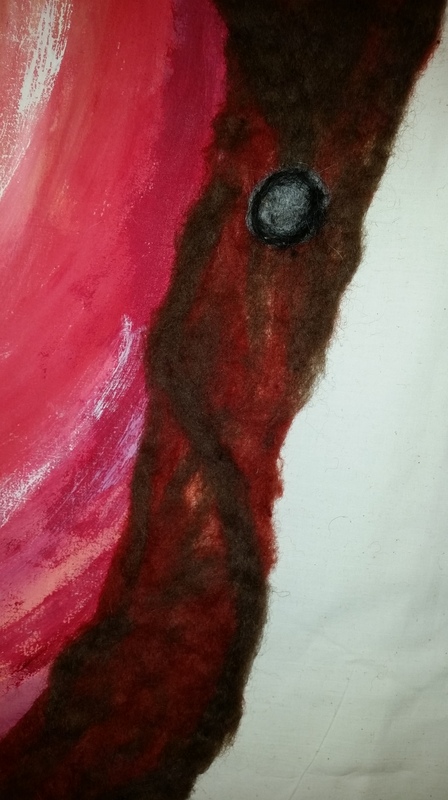 I wanted to see if I could do it as a fiber art. 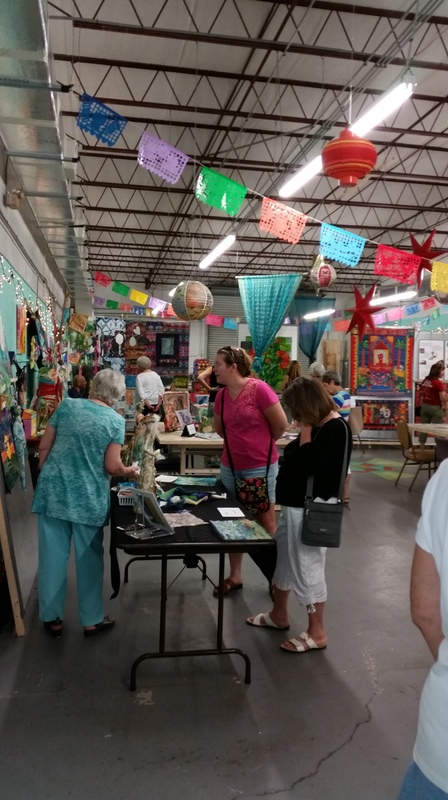 The last set of photo’s are from a wonderful show/demo that a group I belong to, The Dirty Dozen Fiber Artists, put on at Art and More a few weeks ago. 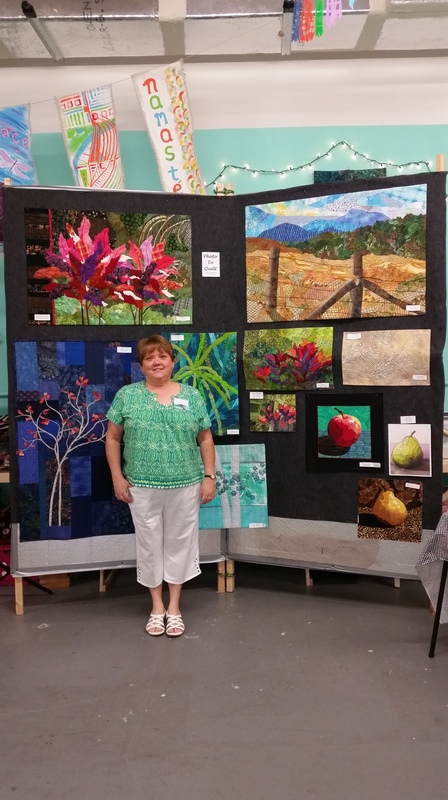 Several of the ladies put on demo’s and talks about their style of fiber art and the process they go through. Others, like myself, put up a display of what we do and were there to answer any questions. 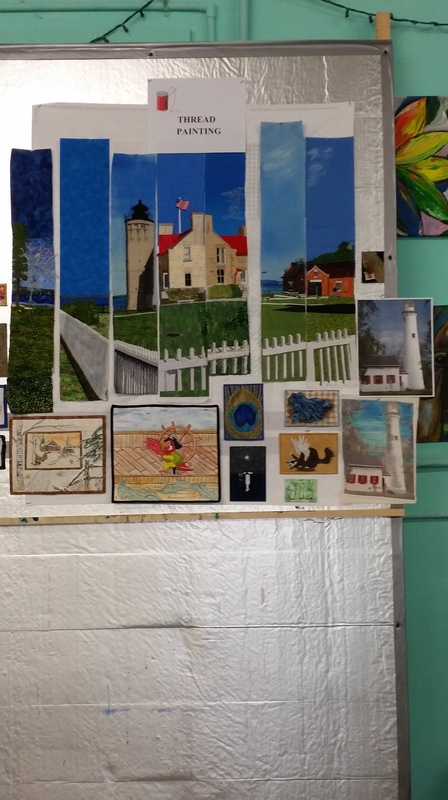 My display dealt with thread painting and I had both completed works and a work in progress. Come back and visit to see what’s up in my little corner of the world. 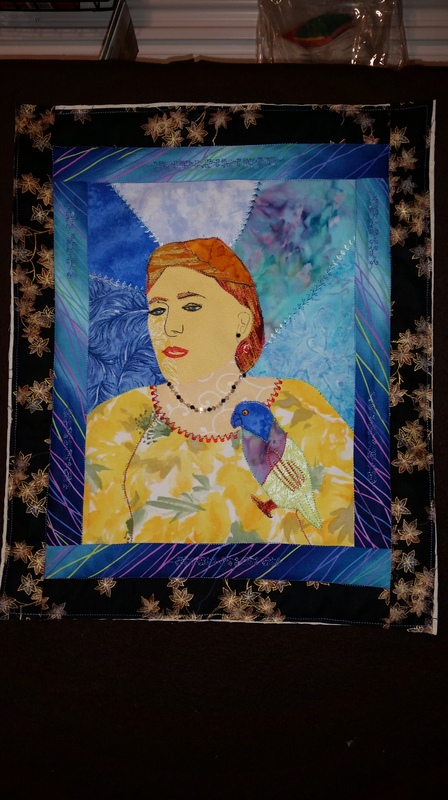 Image | This entry was posted in This in that in my little realm, What's New and tagged art quilts, fiber art, painting, This and that, Thread painting. Bookmark the permalink.